was born in February 14, 1911 in Mexico City. He worked as a blue collar worker. 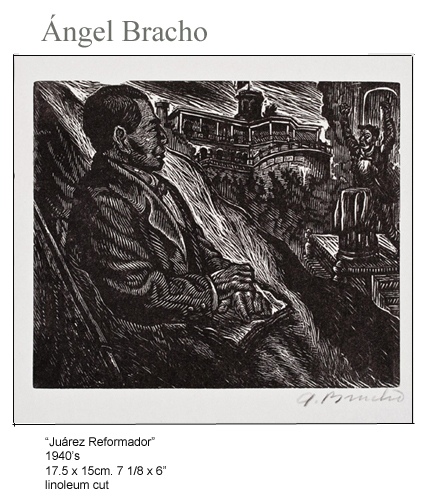 and at the same time took night classes at the San Carlos Academy in 1928. from the next year up to 1933, he took art courses on drawing and painting at the Universidad Nacional Autonoma de Mexico. He was considered a founding member of the Taller de Grafica Popular. There he produced his first lithographies. In the year of 1948 he also was founding member of the Society for the Enhancement of the Fine Arts. From 1952 to 53, he was its Director and later from 1961 to 63, he was its president. He was awarded the Gold Medal in 1960 at the Biannual competition in Buenos Aires, Argentina. His production of murals and wood cuts and paintings was very substantial.